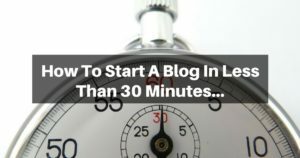 How would you like to learn How To Start A Blog in less than 30 minutes and start your blogging journey. I’m going to show you how to do just that. Start your blogging journey today, and I will take all of the mystery out of getting started? 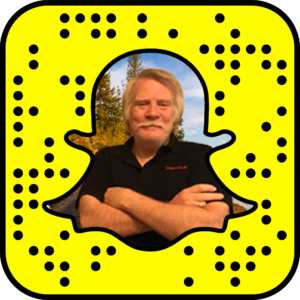 I’ve been blogging now for about two years and have made my obscure, unknown blog to generating leads every day and under 150k in the US. Once you understand the power of blogging and how it is changing lives all over the world you will want to jump on the bandwagon. Whether you want to create a website about your favorite pet, hobbies, a struggle you are going through in life or even wanting to try and make a few dollars online, it’s all possible through the use of a blog. Maybe you just have a passion that you want to let people know about and share with the world. Whatever the reason you want to use your voice blogging is an excellent method to be seen and heard. Below are three easy steps to start your blog today! Before even starting your blogging journey you need to decide what and who you are going to reach. Deciding your audience is where a lot of people get stuck or have too broad an audience. The more refined you can be with your audience the better. Many bloggers start with their passion. Blogging about your passion makes starting a bit easier because you most likely will have a lot of knowledge and experience with your passion. When I started my blog I wanted to help other “Network Marketers” learn how to market and how to reduce their fear of technology. These were two things that were my passion. The bottom line is your blog can be whatever you want it to be; it’s your blog. I’ve been using the WordPress platform since I started blogging and I love it! Here are just a few of the reasons so many people love and use WordPress. The next question that has to be ask is where do you host your blog? The options for free hosting is using WordPress.com. While it may be a great place to start, it is very limited and can not be branded with your domain and is filled with ads. So, if you are limited on funds this may be the way to start, but it’s certainly not the recommended method. Premium Hosting is by far the preferred hosting solution. The premium hosting platform that I use is only $49/month and comes with all of the bells and whistles to have you up and running in minutes instead of hours. I highly recommend this service because they take care of all the heavy lifting allowing you to blog til your heart’s content. Having a secure, reliable, fast platform that has access to a wealth of training is worth its weight in gold. Having your personal Domain Name for your blog is probably the most important reason for having a premium hosted blog. I would recommend using your name if it is available. For example, my blog is RonDeering.com. If at all possible stay away from numbers and special character like dashes. Choose a name that easy to spell and remember. Stick to the .com, .net, or .org domain extensions if possible. Don’t pick copyright or trademark names. 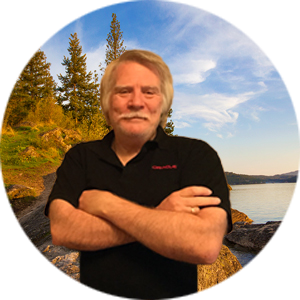 I use GoDaddy to register my Domains but there are many other sites that work equally as well. Blogging is a journey that can either be miserable or enjoyable and profitable. It’s up to you. I hope this post will help you get started today and get started right. If you want to learn more about blogging and branding you check this out! Would love to know how I can help you and what your blog site is. Short, sweet and simple. Who are you using to host your site Ron? Great info Ron. You nailed the main keys on the head. Defining your target market and learning how to create content are my favorite things to teach. Great tips on starting a blog. Thanks for sharing. You have to be passionate about what you want to talk about and then selecting the right blogging platform and hosting. I wished I had this when I started back in 2010.